Mental March marches on! Freedom and Expectation are themes that come up repeatedly in the years of LightBlasting. 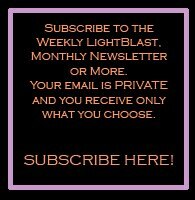 The LightBlast is a channeled topic that assists Lightworkers toward empowerment, so as we heal the Self, we are supported in helping others. Freedom is necessary for open, creative flow and sharing. Expectation is a trap of limitation that is often justified by a mind that is led by egoic need. As we release expectation, we are opening to freedom and solution that was not available before. Expectation is present when fear is present, for one in expectation does not ‘expect’ that All is Well. The out-of-balance ego justifies expectation as a good cause, improvement and a solution that everyone else just doesn’t know they want yet! When you release expectation, you are allowing the unseen force of Love to inform choice and co-creation with Divinity begins. It’s Namaste applied into action with All Life. Freedom from Expectation can feel as if you are giving up goal-oriented creating. Actually, you are still goal-oriented, the ultimate goal just becomes Love, Peace, Joy and sharing Life! The Abraham-Hicks work can be confusing to some because they focus on the ‘stuff’ and use the stuff as an indicator that the Law of Attraction really works (it often doesn't seem to work because they are focused in lack). In truth, when you actually apply the Abraham-Hicks work, you are so Free from Expectation that the stuff becomes less important than your state of Being. You become Free within a less-than-ideal financial situation, work situation or relationship status. 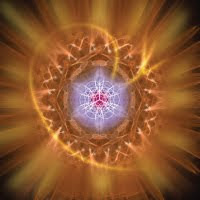 Change then begins to form that matches your current vibrational emanation. 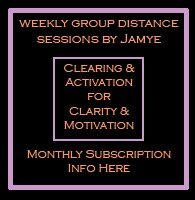 We’ve been Lightworking all March on aligning our mental state with an emotional state that supports creating a new life of Love. Freedom From Expectation opens you up to the possibilities unavailable within the control and limitation of expectation. It makes Peace Possible! As we sit to Blast Freedom From Expectation, we are ushering in the new wave of Love to shape the shores of Life. We are the Peaceful Ones, shining brightly through storm and breeze, reliably consistent no matter what the circumstance. We are culling through the mental madness that separates and cultivating the mental acuity that allows Love to grow through the froth of change. We are the beacons of Peace, embodying the new way of Being that creates real change through Love. Blast on!